This pattern is a larger version of my popular Market Tote bag. 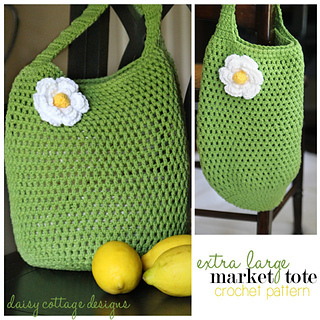 If you have just a few hours, you can complete this simple tote bag crochet pattern from Daisy Cottage Designs. 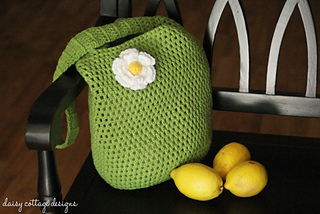 This free crochet design is just the perfect size for toting to the farmer’s market or the beach this summer. 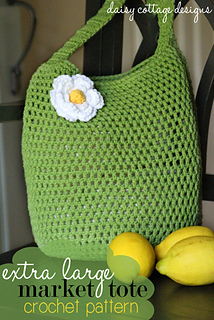 Add a cute flower to embellish this homemade tote bag. It’s also perfect for your project bag.